Nowadays software technologies are used in practically any kind of company or organization all over the world. In the article it will be described the complete process of creating and modifying various software systems, from initial design concept to post-release maintenance and support. 1. Requirement analysis and planning is the first step that helps the customer understand and define technical and business needs. This point starts with market assessment that allows scan the software production of competitors and find out whether the future software solution is strongly needed or has already been successfully performed and is widely used. 2. Specification is the next step which precisely depictures the software program to be written in a mathematically accurate way including the revelation of advantages peculiar for this system. 3. 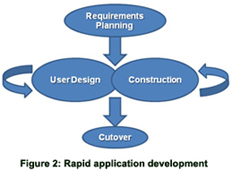 Software architecture of a program refers to its virtual representation and the conviction that the software system will meet all the necessary requirements. 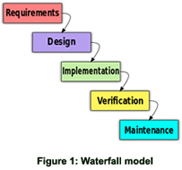 Among the most widely known software development models there are Waterfall model, Spiral model, Rapid application development and Code and fix. 4. Prototyping and design. This phase involves design rendering, usability and interactivity premeditation. It allows design, visualize, and simulate product to create more innovative concepts and engineer more accurate digital prototypes. Here there are such steps as analysis of functional requirements documentation, architecture design, hardware modeling, product prototyping. 5. Coding. The most important step, indeed. Within the coding process the existing implementation is elaborately analyzed at each iteration and compared with the project's needs. 6. Testing. Another required step that helps to find out bugs and unforced errors and fix them in time before the product reaches the customer. This stage is especially vital when different parts of one software program were processed by a group of programmers. 7. Documentation is one more significant task that includes providing documents for the internal design of software program in the aid of future maintenance and amelioration. 8. Product quality control is usually provided by the independent Quality Assurance (QA) team whose main purpose is to test the quality of the software program at its every aspect. Self dependence of the QA group guarantees that you will always get correct comprehension of the quality and will be able to make advised decisions based on this data. 9. Deployment starts straight after the code is appropriately tested, verified by the QA team and approved for release. If needed, deployment process can be accompanied by installation and customization, which include setup of the program and some special settings vital for the customer. 10. Training and support. A huge percentage of software projects fail because the developers sometimes are not able to realize that it does not matter how much time and planning the development team puts into processing software if nobody in a company stops using it. People are some while reluctant to change and avoid venturing into an unacquainted area, so it is of high importance to have training classes for the most enthusiastic software users. Thus they will get acquainted with the trainers and support team and will know how the system functions and how they shall ask the supporters to help in case something doesn't work. 11. Maintenance. Maintaining and eliminating software to deal with freshly discovered problems or additional requirements can take far more time than the initial software development process. Not simply may it be indispensible to add code that doesn't fit the original design but just defining the software working process at various points after it is completed. Frankly speaking, about 60% of all software engineering work is maintenance. 12. Product readiness and advancement is another useful step that is usually attended with official software product public presentation, publication of press releases, adverts and special articles and constant evaluation and upgrade of the newly designed software product. 0 people find it interesting. Elinext is a custom software development and consulting company focusing on web, mobile, desktop and embedded software development, QA and testing. Since 1997, we have been bringing digital transformation to mid-sized and large enterprises in Banking and Finance, Insurance, Telecommunications, Healthcare and Retail. Our key domains include enterprise software, e-commerce, BI and Big Data, e-learning and IoT.